Outside any city still standing, the Mechanical Circus Tresaulti sets up its tents. Crowds pack the benches to gawk at the brass-and-copper troupe and their impossible feats: Ayar the Strong Man, the acrobatic Grimaldi Brothers, fearless Elena and her aerialists who perform on living trapezes. War is everywhere, but while the Circus is performing, the world is magic. 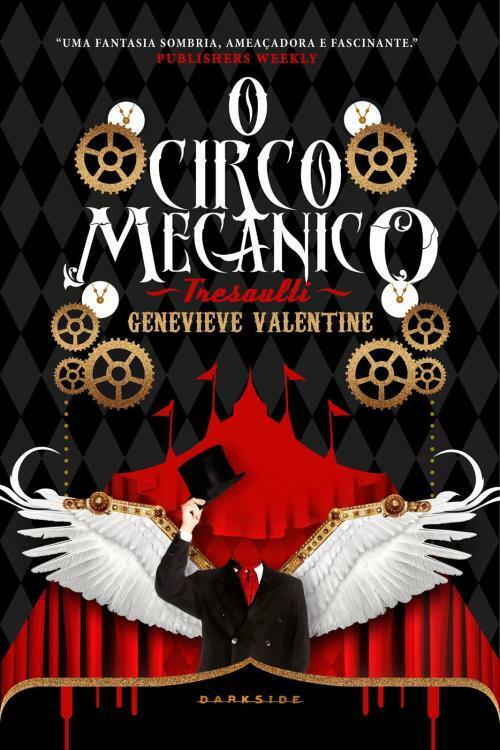 That magic is no accident: Boss builds her circus from the bones out, molding a mechanical company that will survive the unforgiving landscape. But even a careful ringmaster can make mistakes. Two of Tresaulti’s performers are entangled in a secret standoff that threatens to tear the circus apart just as the war lands on their doorstep. Now the Circus must fight a war on two fronts: one from the outside, and a more dangerous one from within. Mechanique won the 2012 Crawford Award, and was nominated for a Nebula for Best Novel in 2012. Mechanique is also available as an audiobook! See more information, and hear a sample, at Audible! NEW:A Portugese edition of Mechanique is available at the Darkside website. 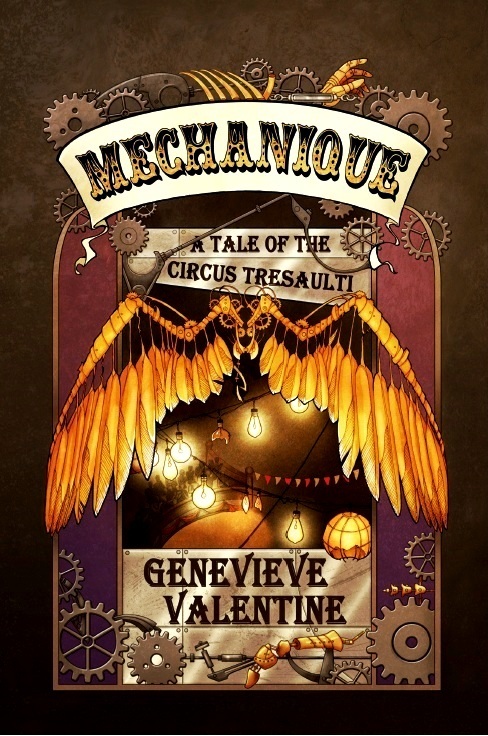 Like a circus, Mechanique shows you confounding, thrilling sights, and then moves on, leaving everything almost as the book left it. In the few years prior to Mechanique, Valentine gained notice for a string of short stories that apply a subtle, intuitive deconstruction to the skeleton of science fiction and fantasy. She brings that same mutant grace to Mechanique—as well as an acrobatic fluidity and a tingle of vertigo that befits the high-wire subject matter. Mechanique has a book trailer! And because they were too good not to post, the individual performances.